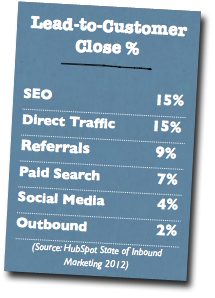 Our inbound marketing approach uses a three-stage process to funnel prospective customers through your company’s website, convert them into leads, and then follow up with a campaign to close the deal. 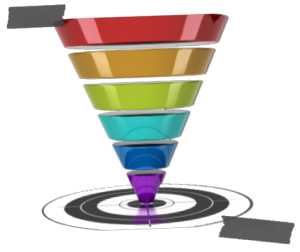 Your goal is to make that funnel as large as possible, so that you are drawing in as many people as you can at the top and getting the largest possible number of customers coming out the bottom. Each part of the funnel calls for a different set of tools. Traffic generation, the first stage, requires you to raise your profile online to get noticed by search engines and social media. The second stage, nurturing those leads you’ve drawn in, is where you engage with your prospect and get them thinking about the products you have to offer. That gets you to the bottom of the funnel, where your salesperson contacts the prospect and tries to make the sale. By now, if your funnel is running smoothly, the prospect should be ready to buy.